Stunning 250+sqft roof top deck! Awesome location. Rarely available. This bright 2bed/2bath, 1000+sqft spacious townhome with many updates, is located in a great complex that is steps to every amenity one would want. Do not miss this one.Main: laminate & slate flooring, new stainless apps, large living room w/wood burning F/P & built-in entertainment unit, separate dining area & breakfast nook, 2pc powder & new wash/dryer. Upstairs: spacious master w/bay window, large 2nd bed w/good closet space, 5pc main bath & access to a deck w/views of Mt. Baker. An entertainers' delight. Covered parking, locker, newer roof & newer windows. 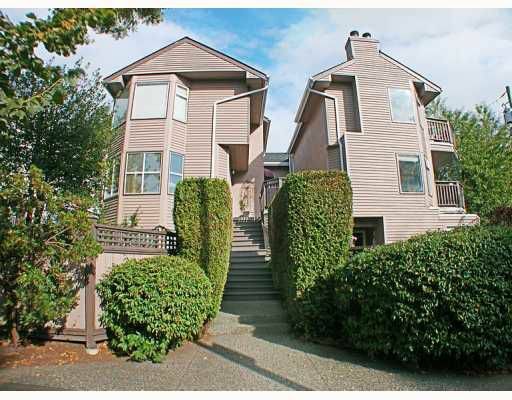 Close to: shopping, schools, transit & all sorts of recreation. Act Now! Open Sept 26 from 1 to 3.